SIMECO has extensive experience in all areas where enhancement of both production and environmental performance are needed. SIMECO, established in 1984, has gradually grown up into a leading medium size Engineering and Contracting Company. Competitive Services for Feasibility Studies, Basic & Front-End Design, Detail Engineering, Procurement and Site Services in the Oil & Gas Sector including On-shore and Off-shore upstream facilities, Refineries, Pipelines, Petrochemicals, Fertilizer & Chemical Plants, Power Plants including Renewable Energies, Utilities Generation Units and Offsite Facilities. Contracting for the execution of projects on turn key lump sum basis. In order to tender for turn-key EPC project up to 50 Million Euro, the bidding alternative is either to participate as Main Contractor with nominated Sub-contractor or in Joint Venture with selected Construction Companies. Contracting for the execution of projects on turn key lump sum basis. In order to tender for turn-key EPC project up to 50 Million Euro, the bidding alternative is either to participate as Main Contractor with nominated Sub-contractors or in Joint Venture with selected Construction Companies. 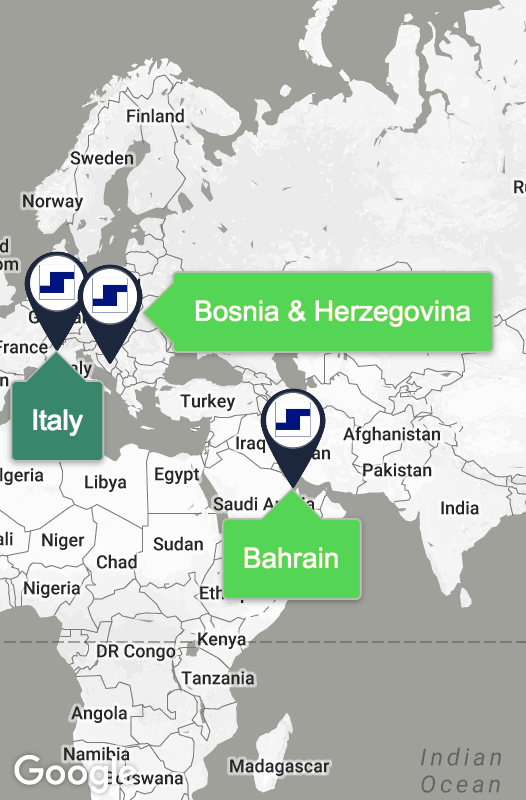 Sound financial credentials with the Italian Banking Organization. 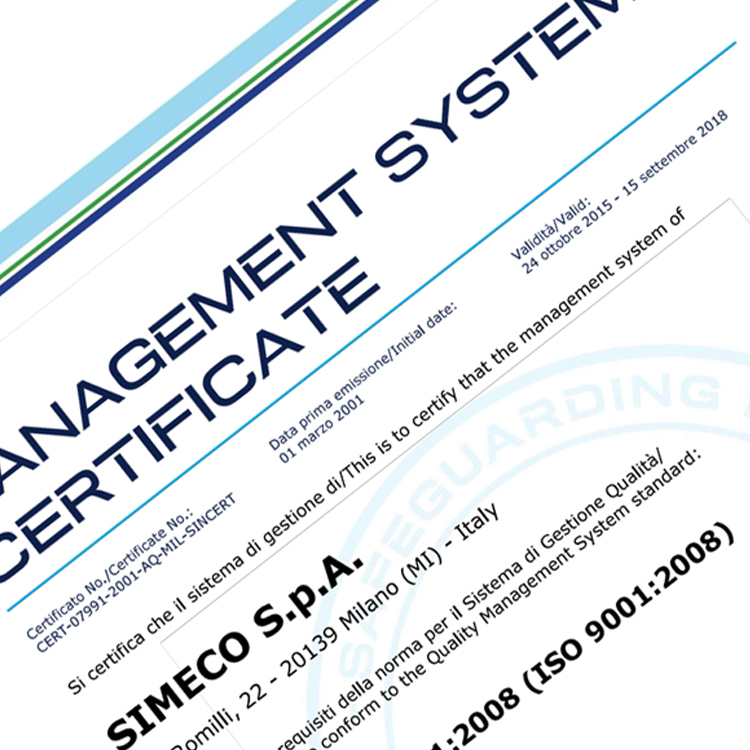 SIMECO Quality System is certified by D.N.V. 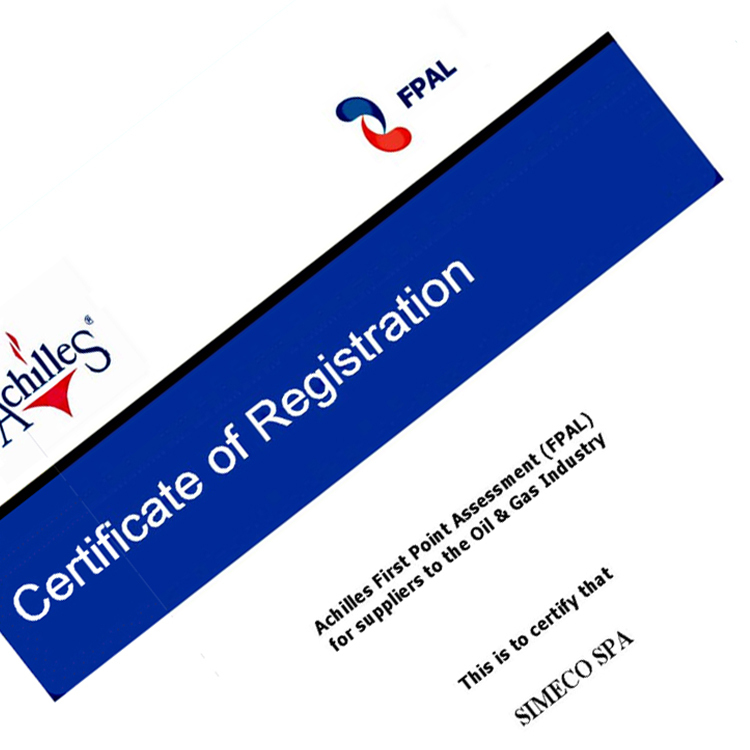 (Det Norske Veritas) for conformity to the Requirements of ISO 9001:2008 for multidisciplinary basic and detailed design of chemical, petrochemical, refinery, power generation and of gas and oil pipelines, equipment and material Procurement. 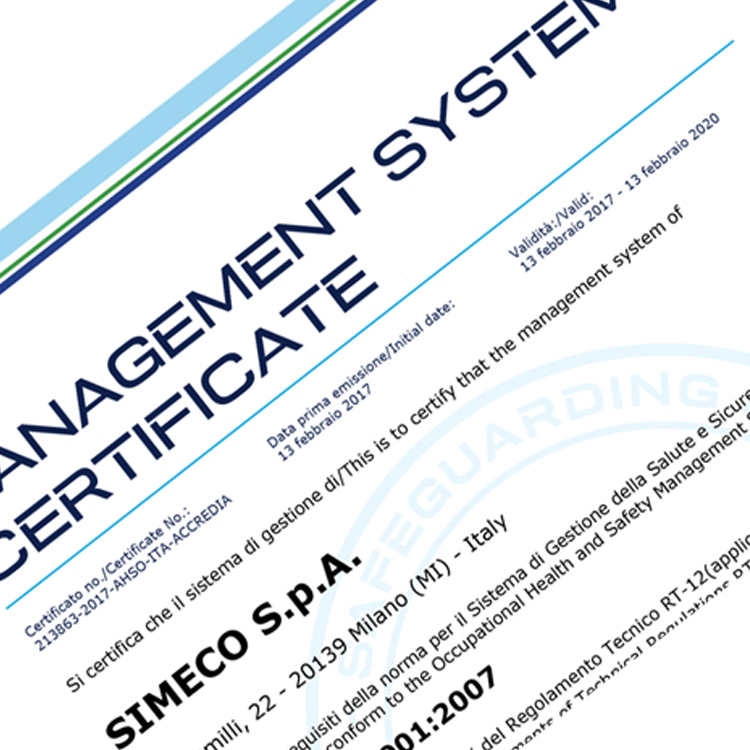 SIMECO Health and Safety Management System is certified by D.N.V. (Det Norske Veritas) for conformity to the Requirements of BS OHSAS 18001:2007 for multidisciplinary design, site survey and construction supervision activities, procurement of equipment and materials, construction and installation of Oil & Gas. SIMECO has been awarded by Eni Spa a 3-year Frame Agreement for Process Engineering Services for Downstream and Power Plants. SIMECO S.P.A. has now a Credit Passport assessment of “A+” that indicates the very high company’s reliability to conduct the business without risk of default. © 2017 Simeco Engineers & Contractors. All Rights Reserved.